We offer a variety of car interior paper floor mats including our imprinted “Thank You For Coming In” paper floor mats for cars. All of our automotive paper floor mats have a special coating to keep them from tearing apart easily and it makes them last longer. These paper floor mats are perfect for any type of automotive detailing or repair shop to insert in the customer’s vehicle after the carpets have been cleaned or prior to the repair technician entering the vehicle. 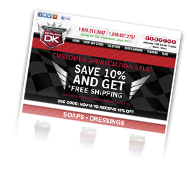 Be sure to ask a Detail King Team Member about our custom logo mats. 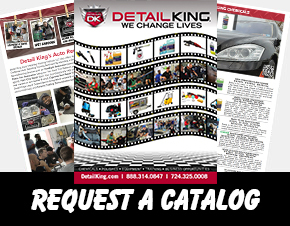 Detail King also features plastic carpet protectors AKA “Dealer Must Remove Mats.” If you offer carpet dying services you should consider applying these mats once the carpets have been dyed and dried. This adds a professional touch to the service you are providing the customer and keeps the newly dyed carpets cleaner longer. The plastic carpet protectors can also be used once the auto carpets has been cleaned and dried as well.